Make Regular Visits to Your Delta Dental Dentist in Hillsboro Today! Every morning you wake up, ready to brush, floss and start your workday. You work hard so you can get home to do all the other chores on your plate. Paying bills, doing laundry, the list goes on. But when was the last time you thought to schedule an appointment with your Delta dental dentist in Hillsboro? 6 months ago? A year? Longer? Regular visits are an important part of preventive oral care for many reasons. That’s why your dentist in Hillsboro wants to talk about it. Keep reading to learn how regular visits are for more than just cleanings. Comments Off on Make Regular Visits to Your Delta Dental Dentist in Hillsboro Today! Legend has it that a great worm, ancient in origin, has lurked in the deep abyss of the mouths of those unfortunate humans who were marked for toothache and decay. A ravenous little creature, he has been believed by some to be the cause of dental maladies. 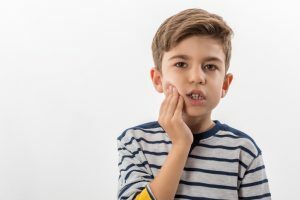 As time as gone on, though, and science has progressed, some overwhelming facts have arisen to suggest another reason for your tooth decay and pain. And your dentist in Hillsboro discusses them in detail. Brushing at least twice per day and flossing at least once is truly the cornerstone of healthy teeth. However, are there other steps you could be taking to improve your oral health? Are there other products that might benefit your teeth and mouth? 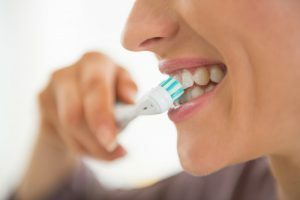 Your dentist explains the steps you can take to make the most of your home care routine and protect your oral health. Every time you go to the grocery or drug store you pass by the intimidating aisle of teeth whitening products. You’d love to have a brighter smile, but you’re not sure where to begin. There are so many over-the-counter products to choose from and your dentist also offers whitening treatments, but how do you know which treatments are right for you? Your dentist in Hillsboro has some helpful information. 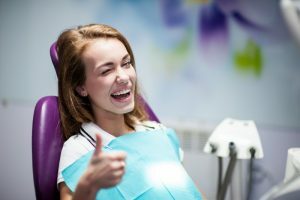 Have No Fear, A Sedation Dentist in Hillsboro is Here! There are many patients that avoid seeing their dentist for a variety of reasons, one of the biggest factors being dental phobia. Dental phobia is a real issue for patients and the decline of their oral health. Let’s take a closer look at why patients may be afraid of visiting the dentist and how your dental team can help. Comments Off on Have No Fear, A Sedation Dentist in Hillsboro is Here! Living with tooth loss creates many challenges to your daily life. When even one tooth is missing, you may no longer be able to enjoy your favorite foods because chewing can be difficult. Not to mention, your incomplete smile can make it harder to pronounce certain words correctly and cause your self-esteem to decline. You could choose a traditional option like dentures to replace your missing teeth with your dentist in Hillsboro, or you could invest in your oral health and quality of life with dental implants. Despite many dentists’ efforts to ease (or attempting to totally alleviate) dental pain, a good amount of people still fear the dentist. Dental fear, along with a fear of heights and public speaking, rank among the public’s most common fears! 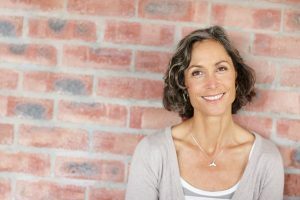 The American population describes dental appointments as an anxiety-producing experience, but your new dentist has cracked the code to relieving dental phobia with sedation dentistry in Hillsboro. Drs. Malinda and Brandon Kearbey understand the long-term effects of ongoing dental fear. 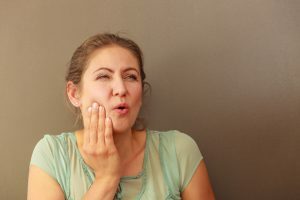 Instead of avoiding visiting The Dentists at Orenco Station until you’re suffering from excruciating tooth pain, you can receive the preventive dental care that you need in a calm, relaxed state. Finding the right health care providers is important! You want to work with practitioners that you trust have your best interests in mind and build a relationship with them. The same is true of your dentist, and it’s never been more important than when you have a family to consider. Wouldn’t it be great to find a dentist that could meet the entire family’s needs so you don’t have to drive all over town for dental appointments? Finding an excellent dentist in Hillsboro may be easier than you think. Here’s what The Dentists at Orenco Station have to offer.